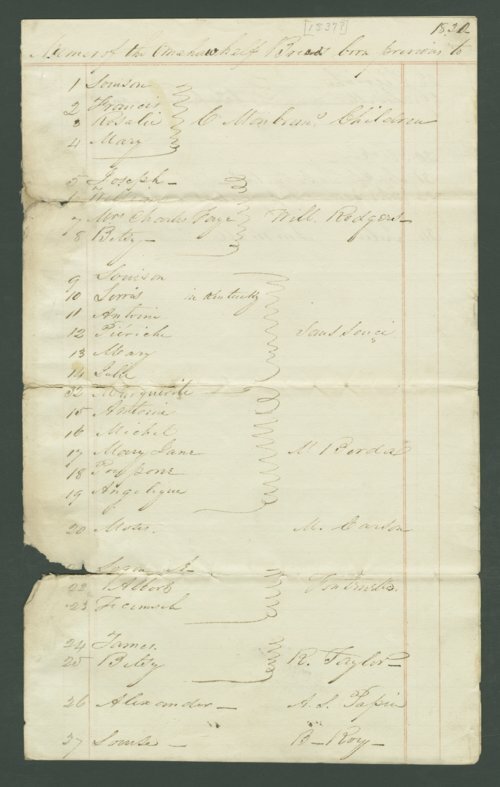 This manuscript lists the names of American Indian people who were identified as having partial Omaha ancestry and who were born before 1830. This document is part of the Isaac McCoy collection. A Christian missionary, McCoy lobbied Washington officials in the 1820s for the removal of Indian tribes east of the Mississippi to unoccupied areas in the West. By the 1830s McCoy worked for the United States government, selecting and surveying locations for the immigrant Indians and establishing and maintaining missions and schools.